A rising economy, also in Frankfurt: In 1998, the city was home to fewer than 1,000 Chinese; now there are almost three times as many. The city administration and the Frankfurt Economic Development GmbH began marketing Frankfurt as a business location in China as early as the mid-1980s. And successfully so: 378 Chinese companies have opened branches in the Frankfurt district of the Chamber of Commerce and Industry. 93% of them are active in the services sector. For Chinese companies, our China Desk is the reliable partner both in the settlement phase as well as in further business development. Are you interested in investment or networking opportunities? Please get in touch with us. The partnership with Guangdong’s provincial capital was founded as early as 1988. On the occasion of the 20-year anniversary of the town twinning, a memorandum on friendly cooperation was signed by Frankfurt Economic Development GmbH and the Bureau of Foreign Trade & Economic Cooperation of Guangzhou Municipality in 2008. In 2006, the City of Frankfurt, the State of Hessen and the southern Chinese Special Economic Area of Shenzen signed the memorandum in order to strengthen the cooperation in the areas of the economy, trade, tourism and investment. The white paper was signed in 2007 by representatives of the City of Frankfurt, the State of Hessen and the ten-million metropolis Tianjin. The content of the agreement is the continuing support of the reform and development of the financial market in China by the State of Hessen, the German Agency for Technical Cooperation (GTZ) and Deutsche Börse AG. Regular meetings are held to this end. In order to strengthen the relations between the two cities, Frankfurt Economic Development GmbH and the Beijing Investment Promotion Bureau signed a memorandum on friendly cooperation in August 2007. Frankfurt offers Chinese businesspeople and their families a varied international and Chinese infrastructure. Chinese restaurants, supermarkets, language offerings, schools, economic and cultural associations: there are innumerable ways of engaging in the community’s life also in their native language. Living in the metropolitan economic center of Germany, the city and its inhabitants are used to dealing with unfamiliar mentalities. 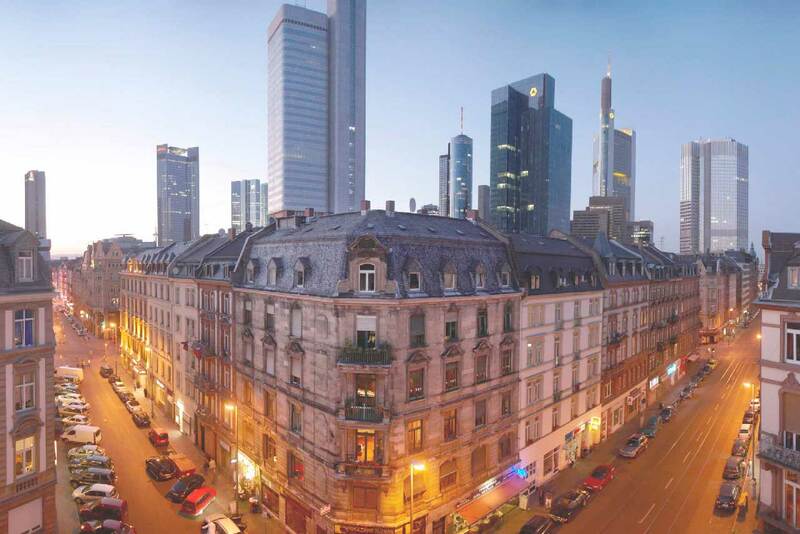 This multi-nationality in action makes it easy for Chinese companies and their employees to make a home in Frankfurt. Thanks to the dedicated work of private school initiatives, Chinese children and teenagers have had an opportunity to receive instruction in their native language and culture for many years now. The first German-Chinese daycare center in Hessen opened on August 01, 2012. The children are in the full-time care of nursery and pre-school teachers who are native speakers of German and Chinese in order to offer them the opportunity of growing up bilingually and making them acquainted with the culture of both countries. Children from pre-school age to the 6th grade are taught Chinese language and culture on Saturdays. The lessons held at Frankfurt’s Stauffenberg School attract about 500 pupils. The facility was founded in 1997. The Konfuzius Institut Frankfurt is one of currently eight Chinese cultural centers in Germany. Besides many Chinese language classes, the Konfuzius Institut Frankfurt offers a wide variety of lectures on current German-Chinese topics. The IZO is an interdisciplinary academic facility at the Goethe University of Frankfurt. The objective of research and teaching at the IZO is the engagement with the contemporary cultures and societies of China, Japan, Korea and South-East Asia, as well as their historical origins in the perspective of the different academic disciplines. The Sinology department at the Institute of Oriental and East Asian Philologies at the Goethe University of Frankfurt considers the language, history, literature and culture of China. Chinese Studies in Frankfurt are geared toward the present; however, they are informed by a deep understanding of the history and cultural traditions of China, their importance to the world and their topicality. We focus in particular on researching processes of cultural exchange and reciprocal influences in past and present. An oasis of calm and far-eastern aesthetics. Substantial walls keep the hurly-burly of the city away from the 4,000 square meters of the garden. 22 landscape windows, a marble bridge, various pavilions, a large pond and a waterfall are inspired in their design by the famous Shiukou gardens of Huizhou. The expert planners and workers who conceived and realized this fascinating world came from China, as did large parts of the precious materials. is dedicated to strengthening the economic cooperation between medium-sized companies in the two countries. CDC uses its social networks in both countries to supports its members in settling there and in founding and expanding their companies. was founded in 1995 and has since become one of the most influential economic associations with a focus on Asia. It is a network of more than 1,900 companies and institutions that strives to facilitate friendships between the countries of Asia and Germany and to bridge the gap between their respective cultures. founded in 1996, is a forum and a platform for manifold contacts, information and events focussing on Hong Kong. was founded as early as 1973. It strives to contribute to the general understanding of China, its people and culture by providing comprehensive information on all aspects of the old and new China. It publishes the “Frankfurter China-Rundbrief” newsletter. is one of currently eight Chinese cultural centers in Germany. It is dedicated to furthering the Chinese language and strengthening cultural competency in the context of the German-Chinese dialogue. The institute focuses in particular on providing extensive professional instruction to managers and senior employees to prepare them for their tasks in China. Its direct links to the Sinology department at the Goethe University of Frankfurt allow the center to make use of a network of professional sinologists and experts on China from different areas of expertise and experience. Apart from many language classes, the institute offers a wide variety of events on current topics.